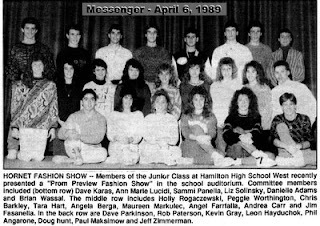 These Hornets would go on to become the class of 1990. 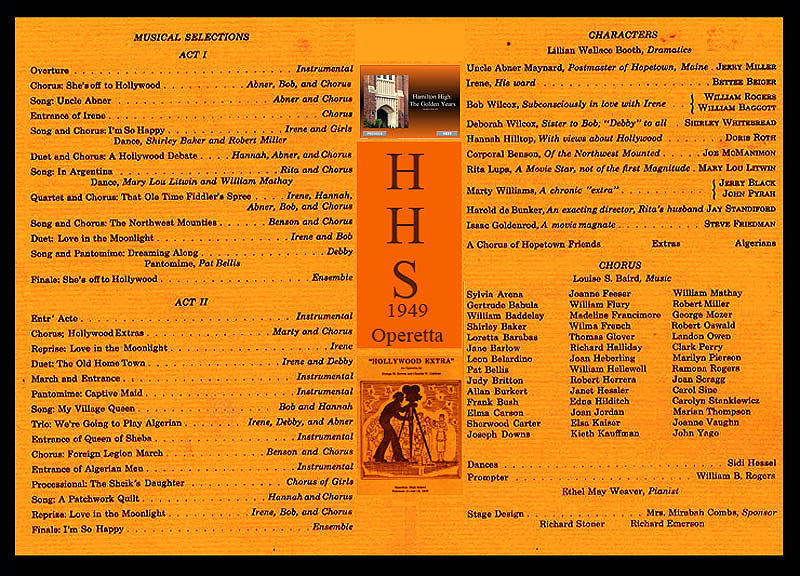 I miss those annual high school operettas. It would really be nice to see the high schools do what is being done on Broadway with musical revivals. Wouldn't it be nice to see "The Red Mill," or one of Gilbert and Sullivans masterpieces? 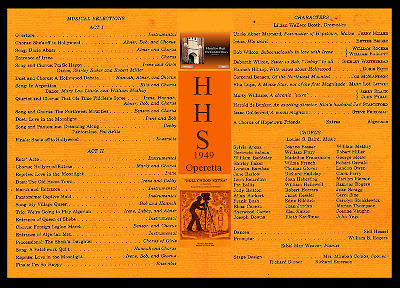 As I was reading over the program which I have digitally re-mastered, I was transported back to the year 1949 where a lovely Bettee Beiger Farmer loaned her beautiful voice to still another HHS annual operetta. There were a few of my teen age crushes in that cast.